Teardrop campers are among the coolest creations out there. These little teardrop campers started as a means to allow for travel and camping in the early days of cars. The cars didn't have much power and couldn't pull the monster RV's of today. These campers have had a huge surge in popularity over the last few years. There are several manufacturers of teardrops, but many are homemade. 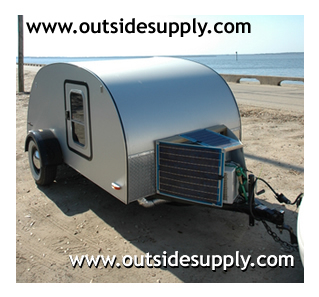 When you see a fine custom teardrop, it is amazing how intricate and well designed they can be.